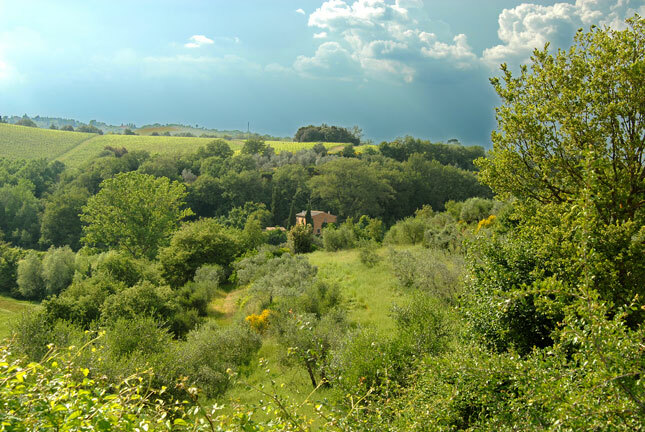 The Sant’Adele farmhouse is ideal for guests wanting to immerse themselves entirely in the fragrances and colours of the Tuscan countryside. 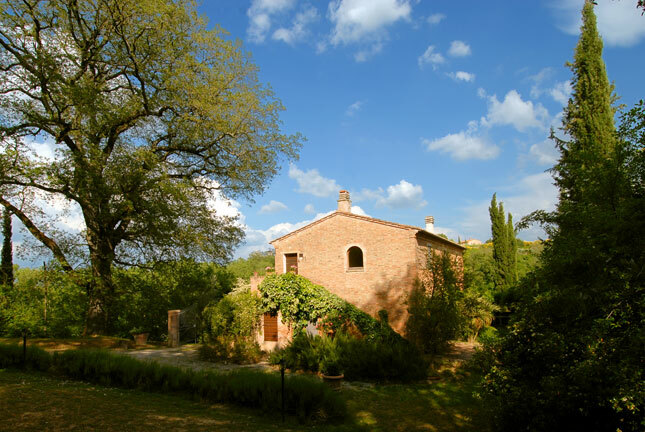 This brick house with its simple façade covered in creepers has a garden full of roses and lavender flowerbeds, and a delightful view onto the woods. 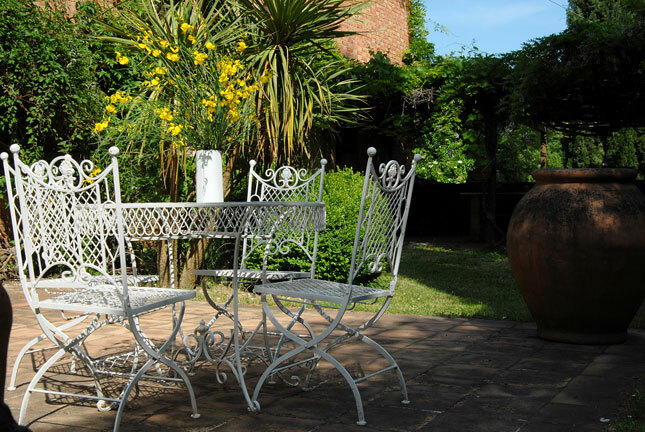 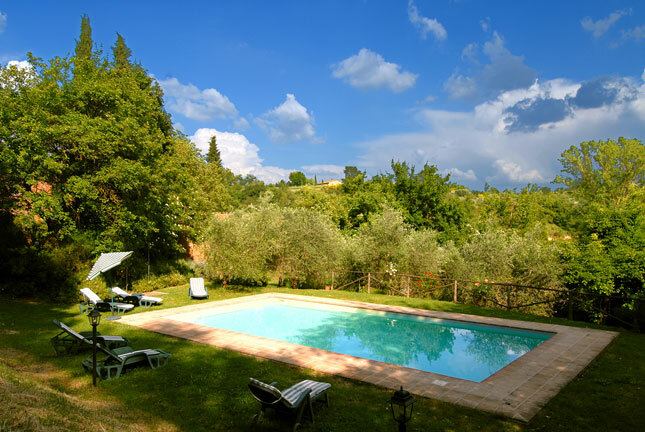 The Sant’Adele farmhouse has a large pool in the shade of the olive trees, offering a wonderful opportunity to relax. 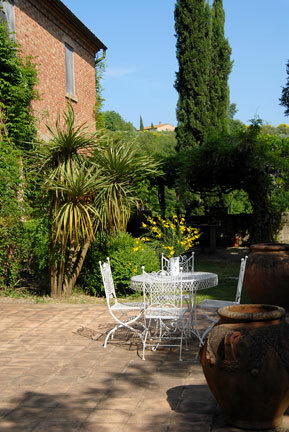 It is made up of two apartments furnished with traditional Tuscan “arte povera” furniture.